We, Frankston Basketball understand the importance of protecting your right to privacy and have therefore prepared this statement to help you understand how we aim to protect the privacy of your personal information. The new Privacy Amendment (Private Sector) Act 2000 amends the Privacy Act (from 21 December 2001) to include laws that regulate the way private organisations, like Frankston Basketball, handle personal information, including very sensitive information. What personal information will Frankston Basketball keep about me? Frankston Basketball collects personal information from clients and other associates to assist in providing our range of products and services. 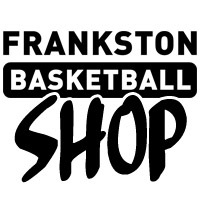 The type of personal information we collect about you may include your name, address, telephone number, fax number, email address, company and/or business information and details and other details appropriate to the products and services Frankston Basketball provides. Frankston Basketball collects personal information when users use the Frankston Basketball website to lodge their personal details, resume, company details and information, and when users change or update any of these details, or if users send Frankston Basketball documents containing personal information. You should note that there are security risks in transmitting information via the internet. You should assess these potential risks when deciding whether to use our on-line services. If you do not wish to transmit information via the Frankston Basketball website, there are other ways in which you can provide this information, such as by mail, telephone or on-site visit. We will not try to identify users or their browsing activities except, in the event of an investigation, where a law enforcement agency may exercise a warrant to inspect the service provider's logs.The Frankston Basketball website is 'cookie' free, which means we will not send you any unsolicited information after you have accessed our website. We will only record your e-mail address if you send us a message. It will not be added to a mailing list unless specifically requested by the user. Why does Frankston Basketball need my personal information? Web development companies - organisations contracted to develop and maintain the Frankston Basketball website. Auditors and Regulators - organisations that ensure Frankston Basketball is complying with legislation and contractual obligations. Can I see the personal information Frankston Basketball has about me? Under the National Privacy Principles, you have a right to know what information Frankston Basketball holds about you, and you are entitled to see this information to ensure it is correct. To obtain this information, please contact Frankston Basketball to ask for your personal details. The Privacy Act gives limited circumstances in which some or all access to this information may be denied. If this applies to you,Frankston Basketball will explain this to you when you ask for your information. How can I contact Frankston Basketball? Frankston Basketball is bound by National Privacy Principles. We will abide by the National Privacy Principles at all times. Frankston Basketball will use your personal information to provide our services relevant to you. This is known as a 'primary purpose'. If we need to use your personal information for another reason, or secondary purpose, like a marketing campaign, we will ask your permission to do so. If we are unable to get your permission before sending our communication, we will give you the opportunity to opt out of any future direct marketing campaigns at the time of mailing to you. Frankston Basketball will ensure that the personal information we collect to provide our products and services to you is accurate and complete. We will do this by ensuring that you have the opportunity to advise changes in personal details at all times. Frankston Basketball will not misuse or change your information without your knowledge. We will not share your information with anyone who doesn't have authority to see your information. To make sure of this, we will regularly audit access to the systems that support Frankston Basketball and make sure that other organisations we deal with have Privacy policies adhering to the National Privacy Principles. Where we collect sensitive information, we will only use it for providing Frankston Basketball products and services to you. We won't use it for any other purpose or share it with anyone else without your permission.